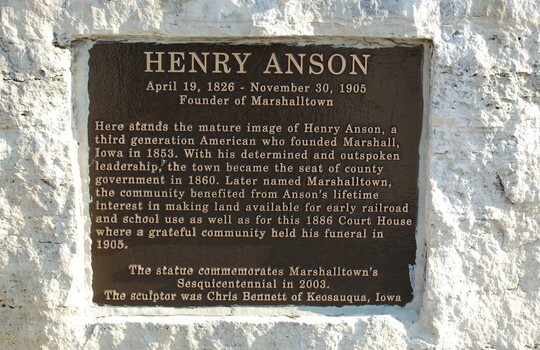 This statue commemorates Marshalltown's sesquicentennial (Marshall founded in 1853), Statue erected in 2003. 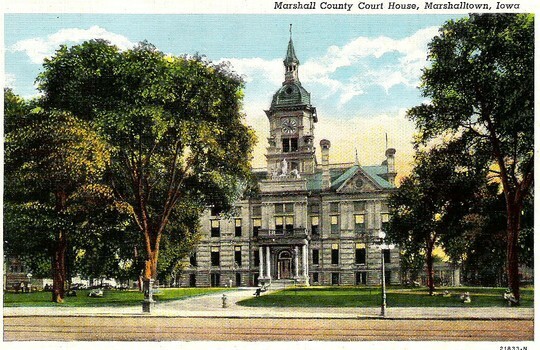 Marshalltown Senior High School as it looked in 1953 (Post Card). 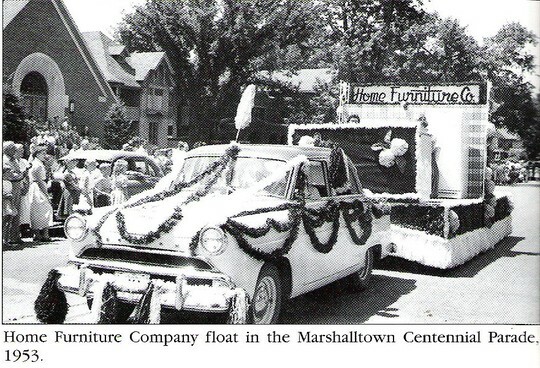 Facility also included Marshalltown Junior College. 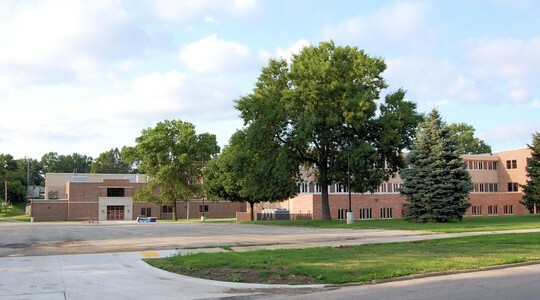 The building was restructured and remodeled and is now the Marshalltown Miller Middle School. 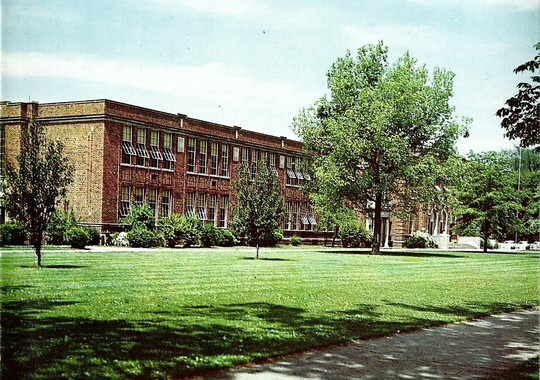 Marshalltown Senior High School as it looked in 1956 from a color photograph by Apgar Studio in the 1956 High School Post Script. 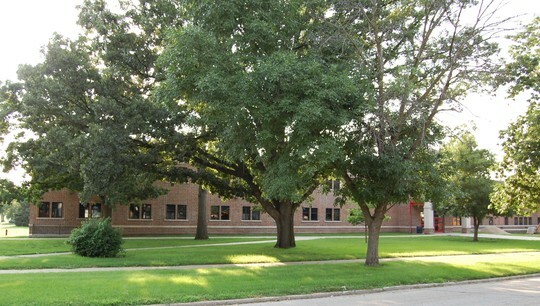 Marshalltown Senior High School Campus today. Showing Theater on upper left, and Roundhouse in upper center. 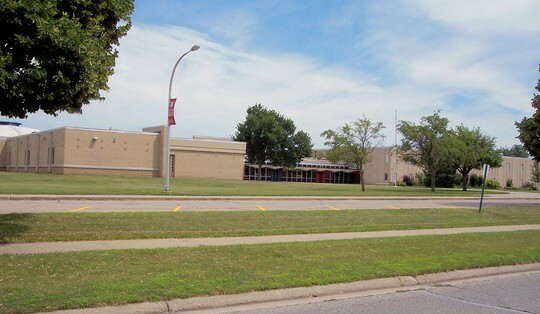 Front of current High School from South 2nd Avenue. ( center of front view). 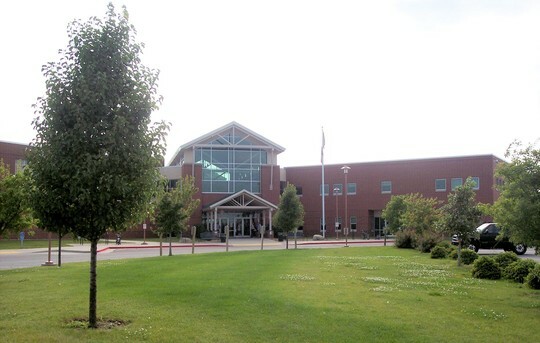 Front of current High School from South 2nd avenue. (North end of front). 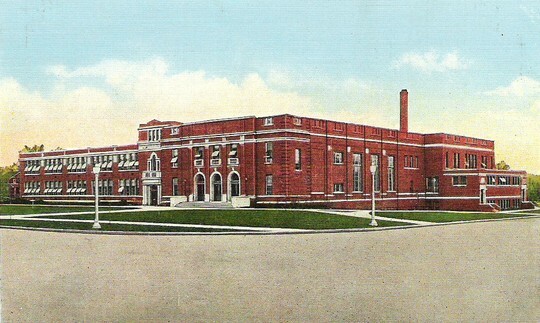 SouthEast corner of High School from Olive Street showing roundhouse. 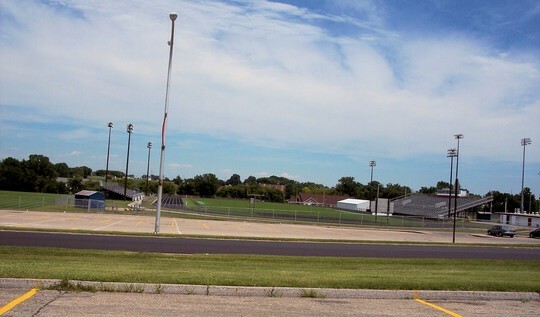 High School athletic field from west end looking east. 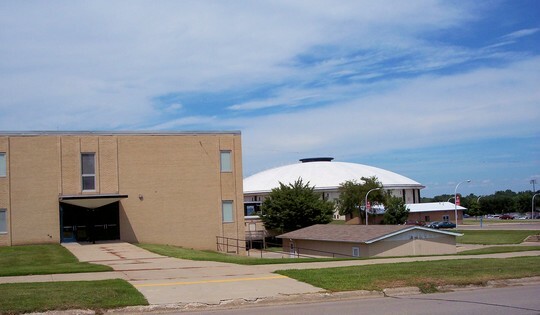 SouthEast side of High School looking toward NorthWest showing roundhouse. 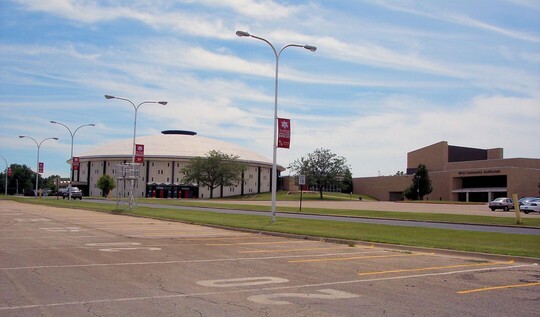 NorthEast side of High School looking toward SouthWest, including roundhouse and Auditorium. Again - Senior High School and Junior College as it looked in 1953. Remodeled into Miller Middle School shown next. 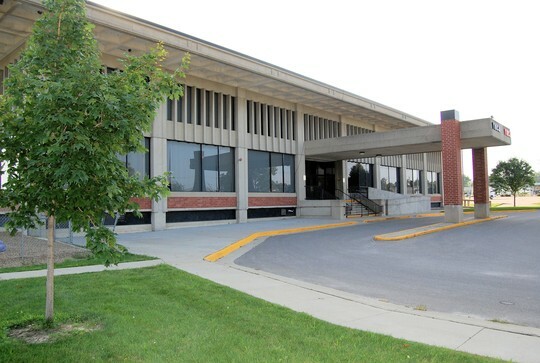 Junior College became Marshalltown Community College (MCC) and was constructed on a campus on South Center Steet (Highway 14) and is currently undergoing upgrades to the campus. MCC Photographs are shown after Miller Middle School Photographs. Miller Middle School (North Side) looking SouthWest, including view of new gymnasium. Miller Middle School (North End) Front view of facility looking southWest. 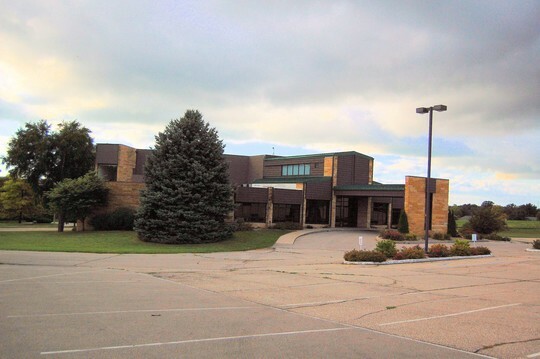 Miller Middle School. 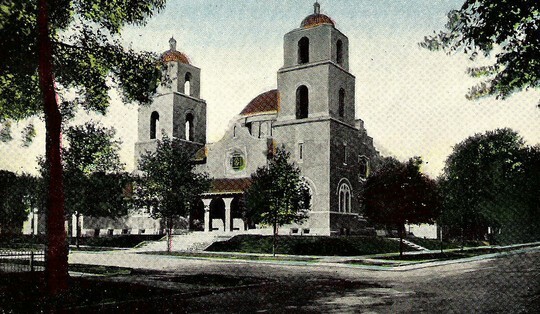 Front view (South end) looking NorthWest. Miller Middle School South Side. Looking NorthEast. New Gym on left (out of view). 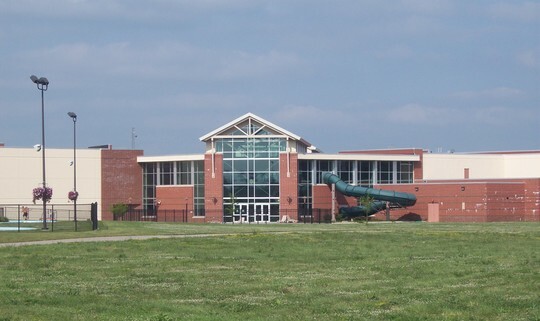 Miller Middle School. South Side. Looking NorthEast, with view of new Gymnasium on left. 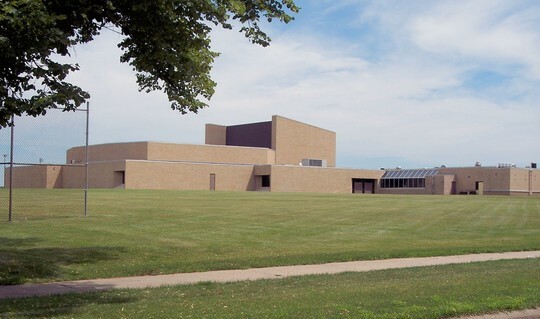 Marshalltown Community College. South front of campus looking east from Center Street. MCC South Side of Campus looking North, with view of Student Activity Center now under construction. 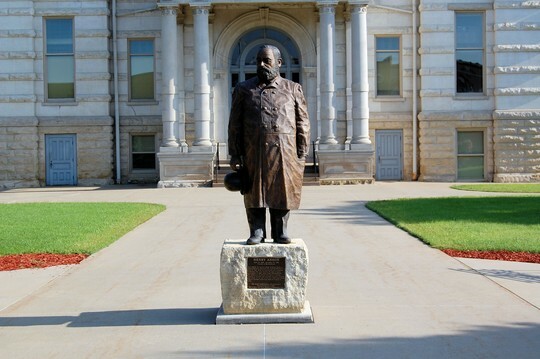 The college sent out a news release September 1, 2008 that detailed the date has yet to be determined for the $7.5-million project to be displayed to the public. "We want the facility to be complete so those who attend the opening event are able to safely view all portions of this tremendous new facility," said Iowa Valley Community College District Chancellor Tim Wynes. "We will notify the public when a date has been set." Closer view of Student Activity Center (Blue roofing). Looking NorthEast. Construction Technology & Welding Laboratory building. 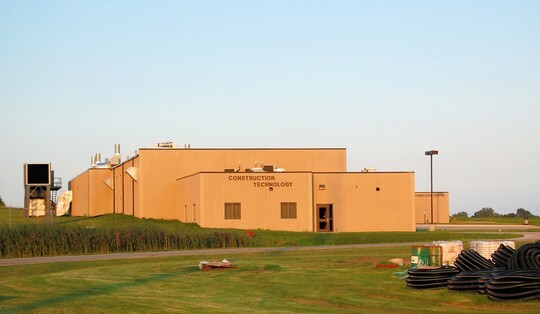 This facility also contains the Business and Technology Center. Located East of the main college buildings. 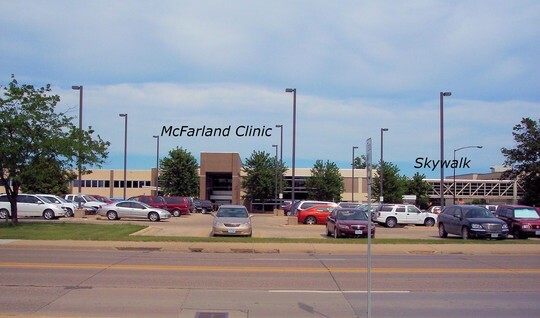 MCC Dormitories are on the East side of the Campus, and are located South of the faciliity shown above. 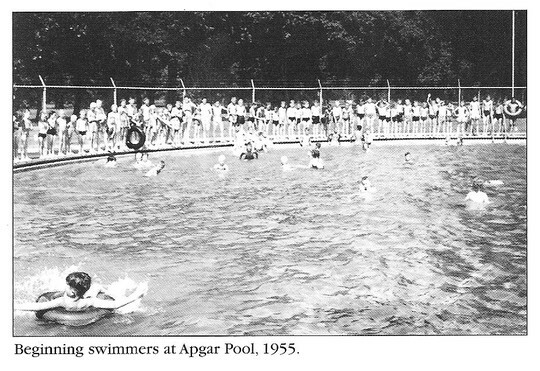 Public swimming pool (Apgar) at the Riverview Park location. 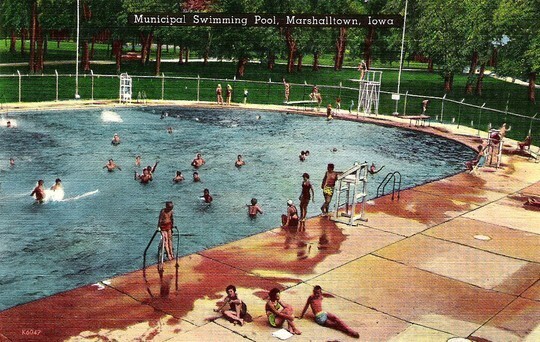 The Marshalltown Family Aquatic Center has zero depth entry, play water features for children, water slides, drop slide, diving board, 8 lap lanes and a lazy river. 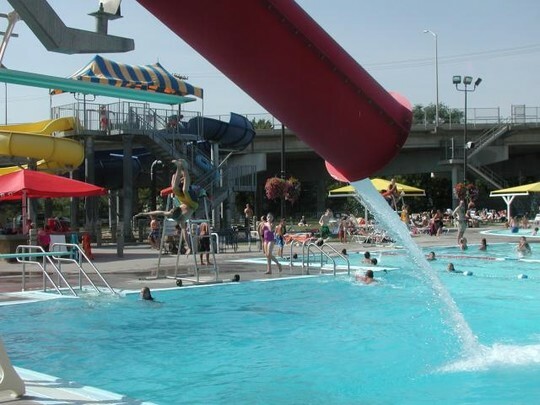 Water Slide featured in the Aquatic Center. 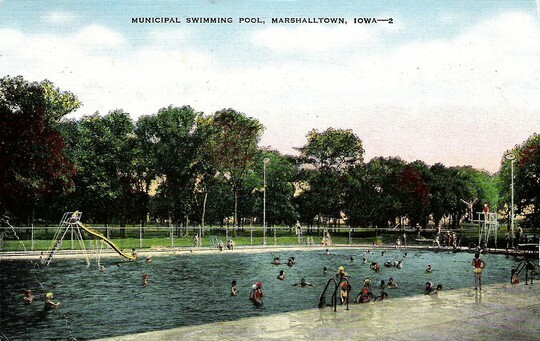 The Marshalltown Family Aquatic Center is located west of the YWCA/YMCA. Next to the 3rd Street - 6th Street viaduct. Beautiful hanging baskets are hung all along both sides of Main Street each year. 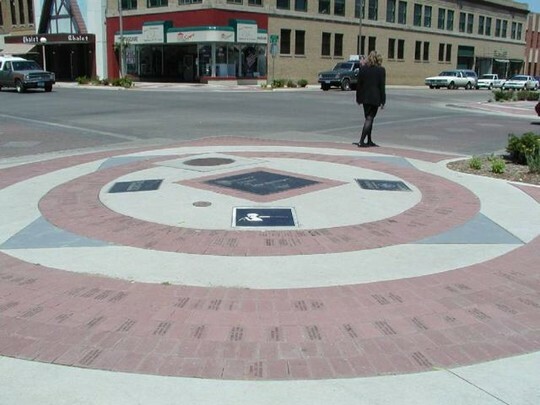 "Legacies on Main" Memorials placed on all four corners of Main and Center Streets. NOTICE THE "OLD" YMCA/YWCA IN THE LEFT BACKGROUND - Fidelity Bank bought this US Post Office in 1963 and built the bank that is there now. The old "Y" and Gasoline Alley were both acquired for extended parking. This bank has now become a branch bank site for Wells Fargo. 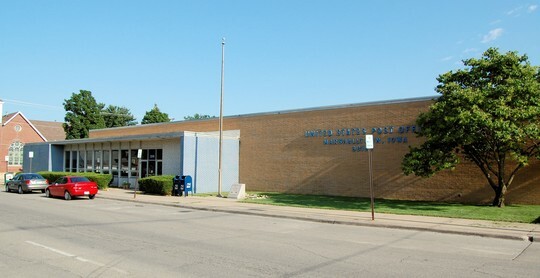 US Post office on East Linn Street and South 4th Avenue built to replace the one on Center & Church St.
Marshalltown Public Library on Corner of Center Street and State Street. Built through funding from Andrew Carnagie. 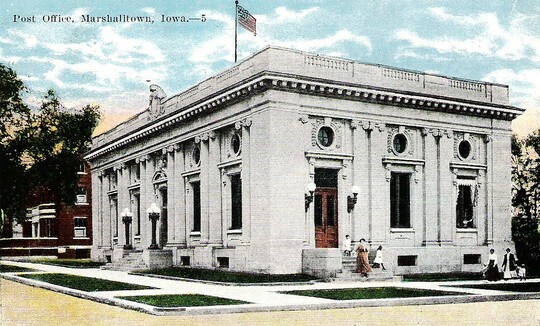 The Public Library viewed from State Street looking South. The Leise addition, dedicated on December 7, 1975, is on the West. 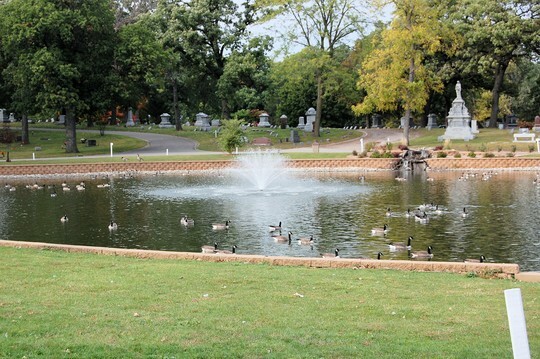 The Leise addition was funded by a donation from Miss Ethel Leise in memory of her brother Charles, and sister, Edna. The new Public Library, under construction, is located directly West of the St. Mary's Attendance Center (school), located at 10 West Linn Street. New Public Library viewed from South 1st Street (East side). The new Library is on the corner of South 1st Street and West State Street. The new Public Library is completed. It opened briefly near Christmas 2008, closed over the holidays, and then reopened. The official Grand Opening of the $9.5 million Library is tenatively set for January 18, 2009. 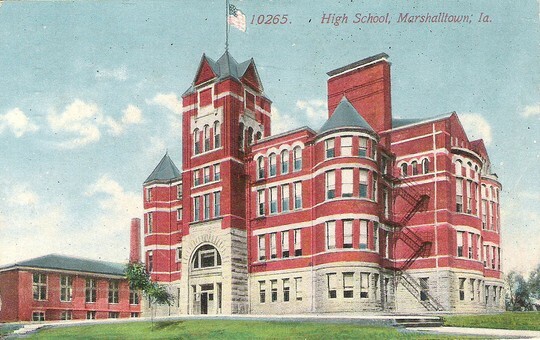 Originally Marshalltown Senior High School on North 1st Avenue and Byron Streets. 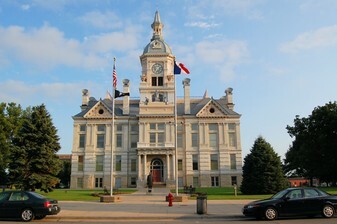 Opened in 1894. Became Central Junior High School and we attended Junior High Here. Top floor was closed when we were there. 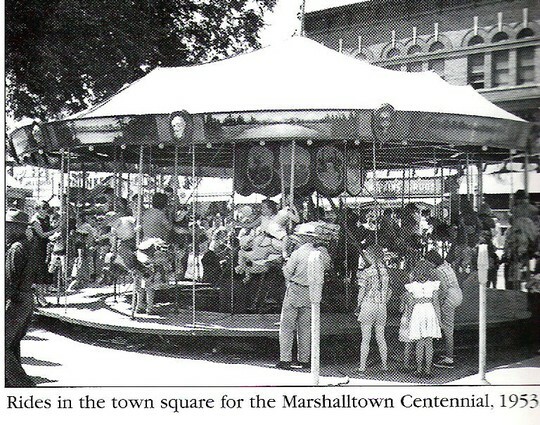 Eventually used for City Government spaces and finally Marshalltown Community College classrooms. 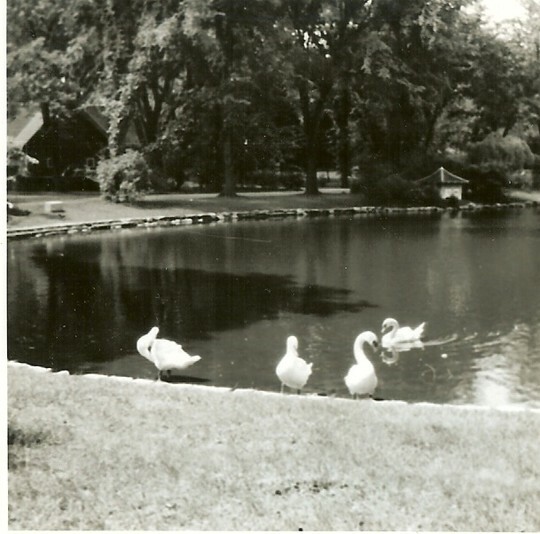 Was torn down for housing development. Central Junior High School is gone and this multiple living facility is located on the corner of 1st Avenue and Byron Street. Looking NorthEast from 1st Avenue. 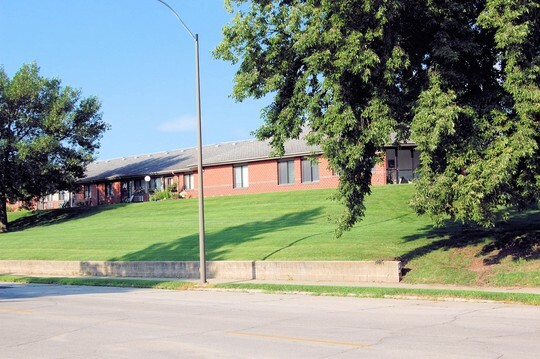 Same Central Junior High property developed as multiple living facility. Viewed from Byron Street. Looking North. 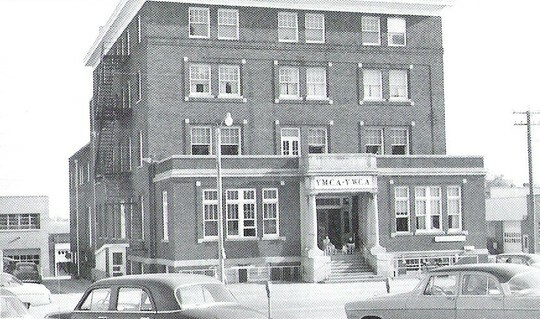 YMCA/YWCA In 1956. 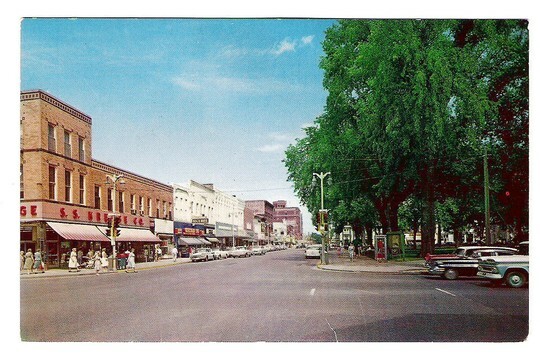 The "Y" was razed in 1967 to accomodate parking for the new Fidelity Bank. The "first" new YMCA/YWCA building located at 705 South Center Street cost $1.2 million and was dedicated in June 1968. 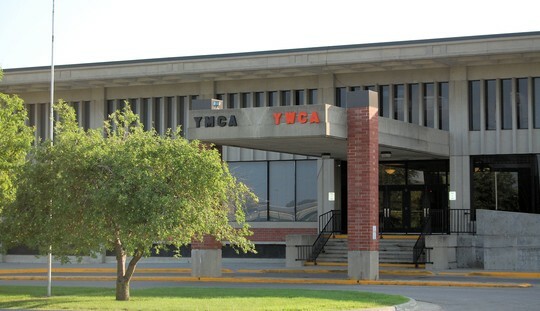 The YMCA and YWCA is usually a seperate facility, in most cities, today. 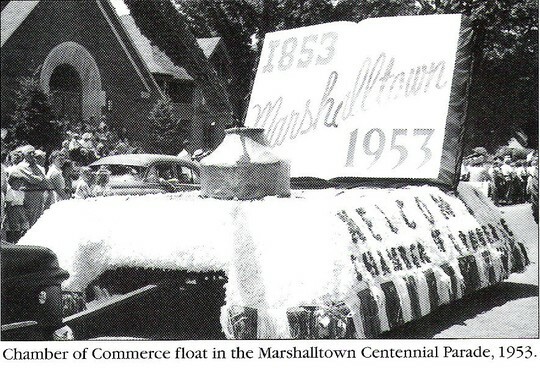 They have always been combined in Marshalltown. 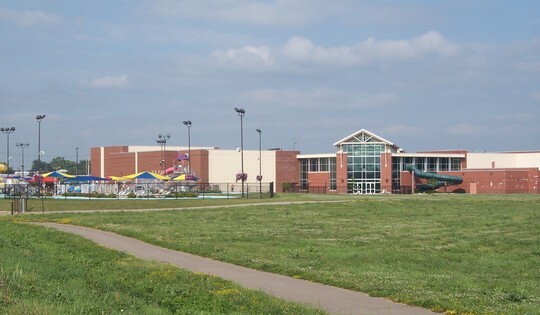 This Complex is located in front of the current "new" facility and is still an active part of the total campus. Front of the multi-million dollar "newest" YMCA/YWCA. 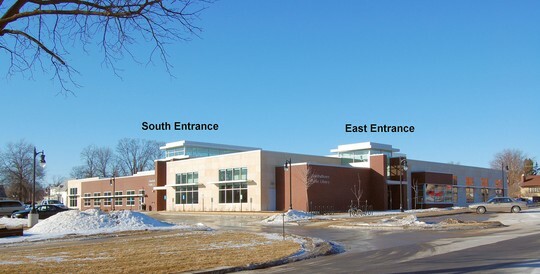 In January 2004, the Marshalltown Community "Y" finished construction of the Horne-Henry Center. The Y is a 122,000 square foot facility financed by a gift from a former Marshalltown resident. 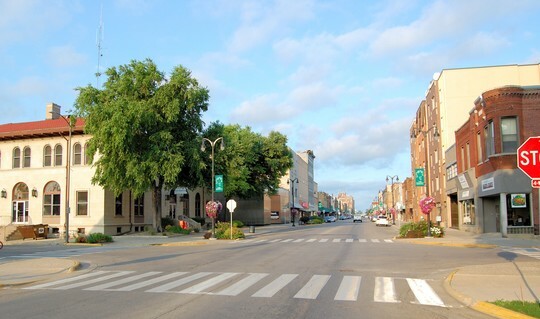 This front view faces the east or Center Street. The facility is host to a large recreational pool with indoor/outdoor slide, a competitive pool, basketball and racquetball courts, free weights, Strive strength training equipment, an indoor track and much more. 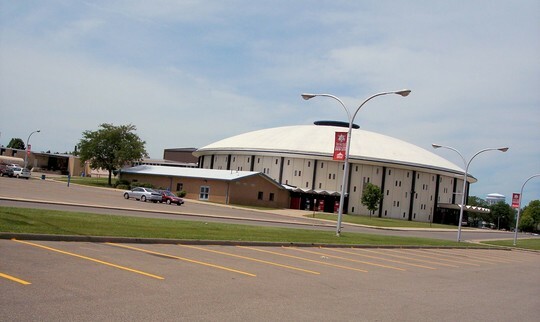 The boys and girls High School State Swim meets are held here annually. There is extensive seating, not previously available, to handle the large crowds that follow High School swimming events. Back of YWCA/YMCA looking east. Back of building faces west. 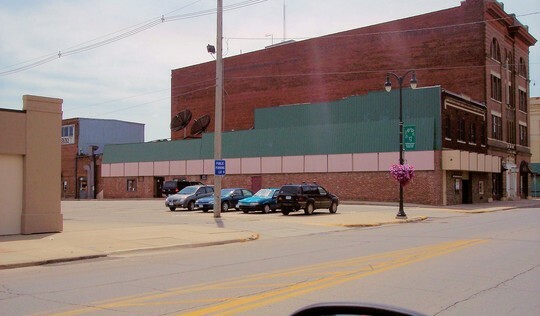 Back of YMCA/YWCA showing the Marshalltown Public Aquatic Center that is next (behind) the "Y". 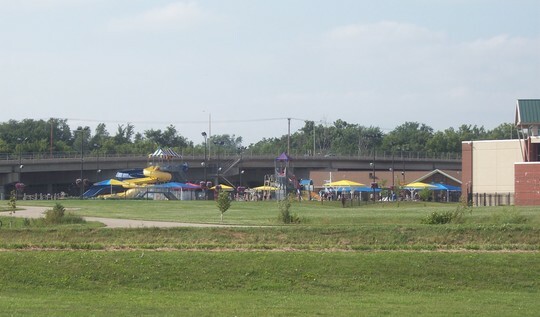 Back of the "Y" , showing the Aquatic Center, & the 3rd Street / 6th Street viaduct relationship. Baptist Temple.202-204 West State. 1911-1973 . 1st Baptist Church built new church in 1973 at 700 East Olive. Now in Baptist Temple location: State Public Defender, CIRSI, Child Support Recovery, etc. 1st Baptist Church at 1700 East Olive Street. 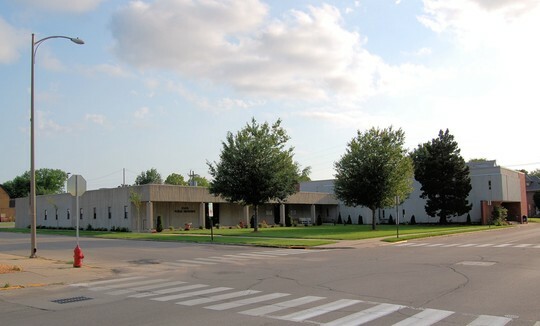 Built in 1973 to replace the Baptist Temple facility. 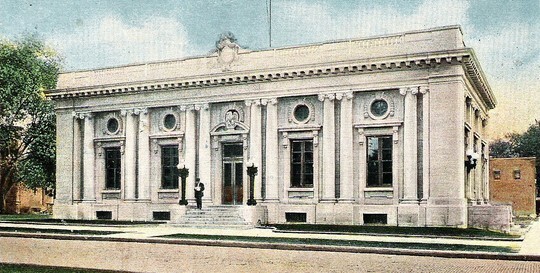 Lloyd's on old highway 30 (now Iowa Avenue). Famous nationally, and favored locally. Operated by the Barlow family. 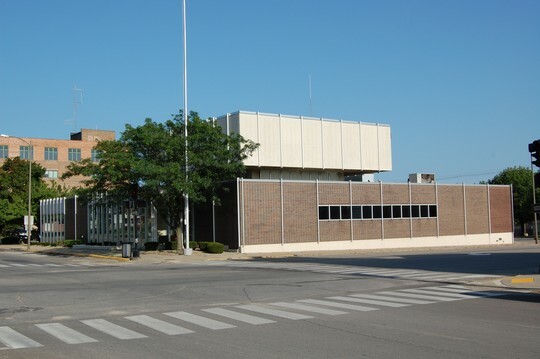 The building has been used for many business enterprises since the Barlow's ended ownership, including good restaurants, car dealerships, and an RV dealership. It is now in major disrepair, and is not, currently, an attractive picture. 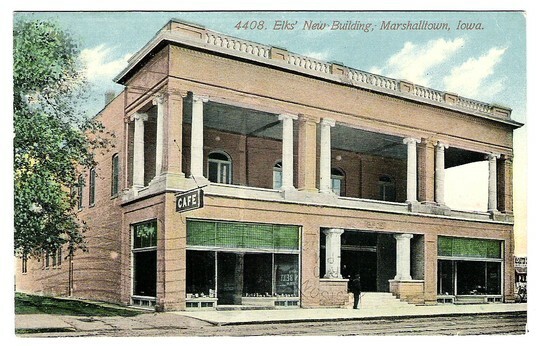 The Elks Club owned this facility on the South side of East Main Street between 2nd and 3rd Avenue. The Elks enjoyed a very large membership when this building was last used. The building was destroyed by fire and no replacement was ever planned. 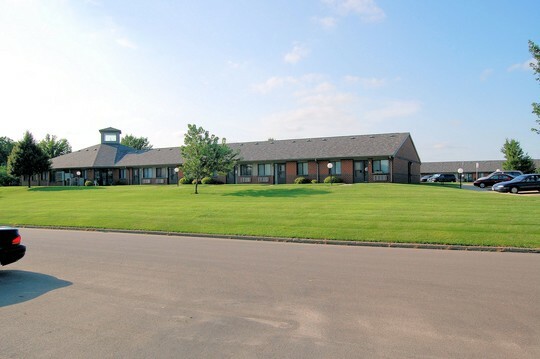 This facility held a beautiful clubroom for the popular Elks. Most activity and formal functions were on the 2nd floor in rooms behind the open balcany. Really neat place. 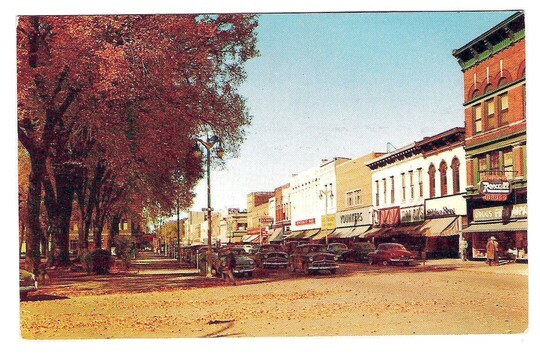 This parking lot is currently maintained where the Elks building (above) was located. 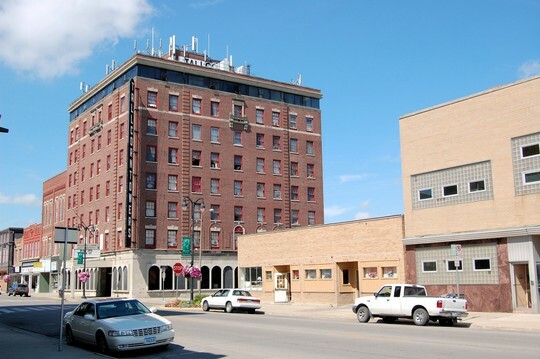 The Tallcorn Hotel has been a famous Marshalltown landmark. 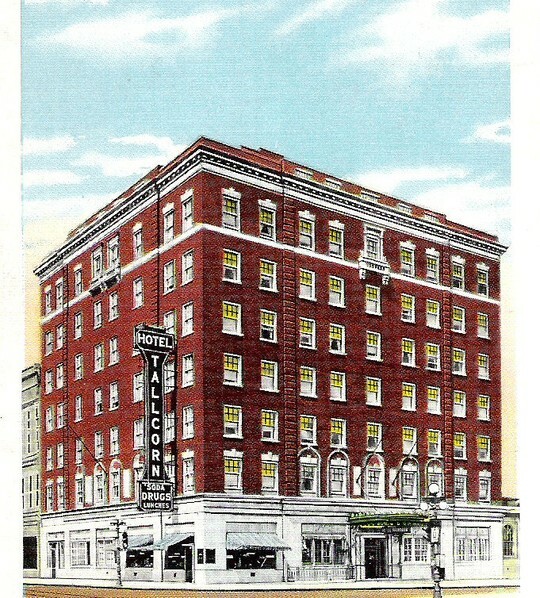 It was a busy Hotel with full use of the Ballroom, Bar, Restaurant, Club, and Barber shop. Purchased by Bill Fisher in the 60's. The top floor was fully remodeled to accommodate business functions with private customer access, while maintaining the facility as a Hotel. 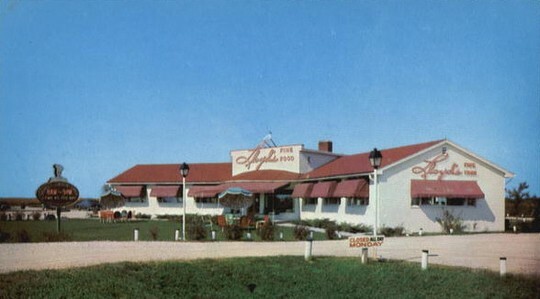 The Hotel was sold to the Bryngelson's before the Fisher plans were fully implemented. B.O. 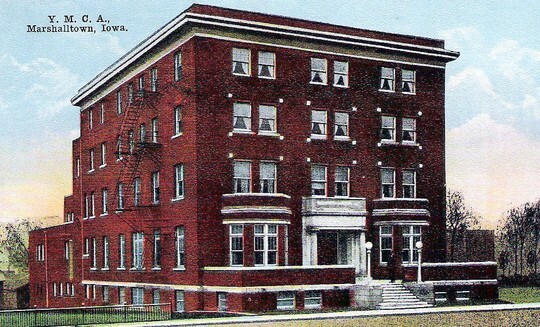 Bryngelson developed the facility as a private "income assisted" apartment complex. The public facilities, such as the bar, restaurant, and ballroom; were eventually closed. 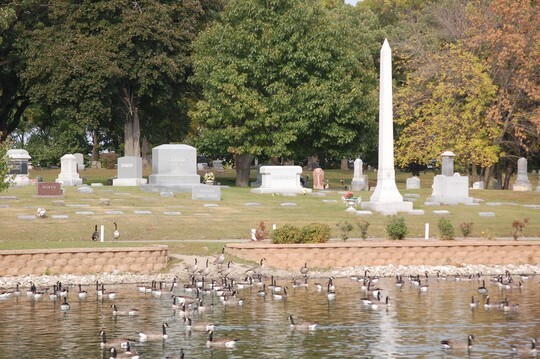 He has named it the Tallcorn Towers Apartments. You can see that the very top floor, and the bottom floor (arched windows); were dramatically remodeled from the original Hotel design. 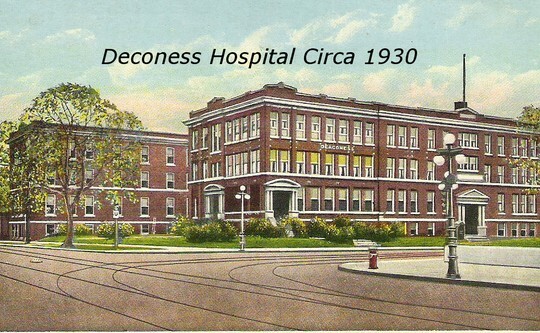 The Deconess Hospital was dedicated in 1914. 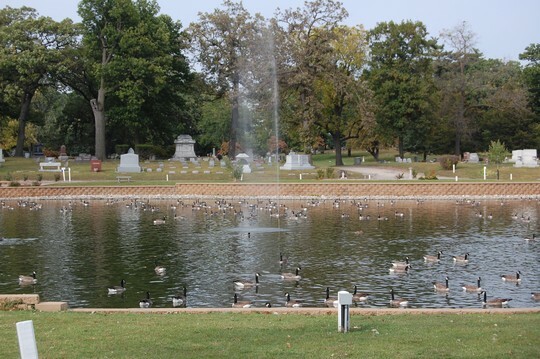 A $200,00 wing was added to the hospital in 1926, which almost doubled the capacity of the hospital. 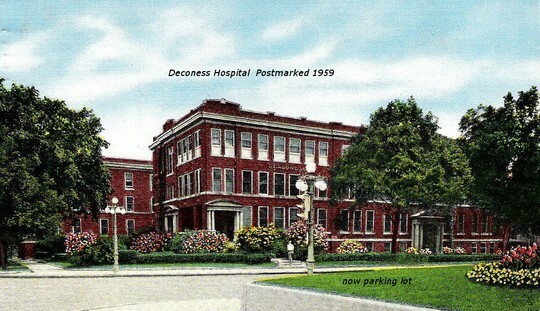 The Deconess Hospital became Marshalltown Medical and Surgical Clinic. Known as MMSC. 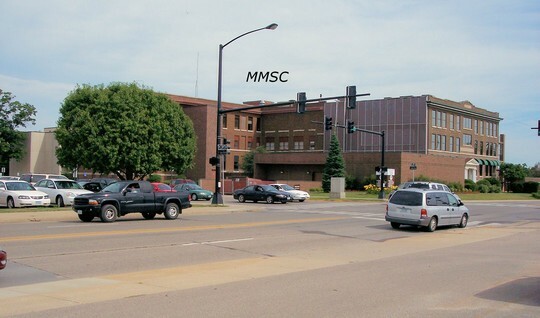 MMSC Viewed from the NorthWest. 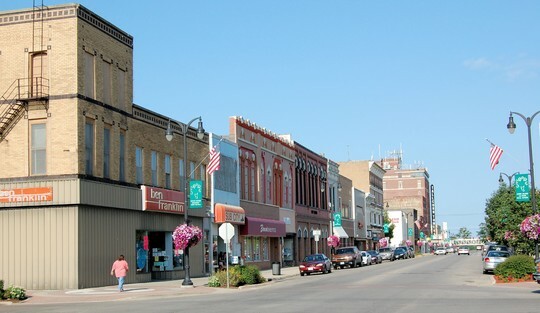 3rd Avenue is in foreground. 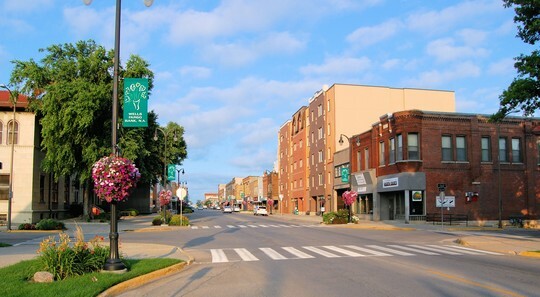 Main Street is on the North of MMSC. 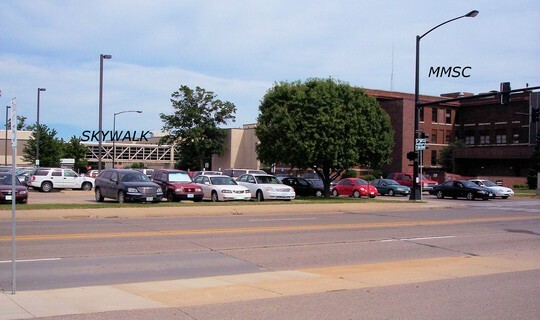 The Skywalk over Main Street connecting the hospital with doctor's offices in McFarland Clinic was completed in 1971 and changed the look of the downtown Marshalltown area. 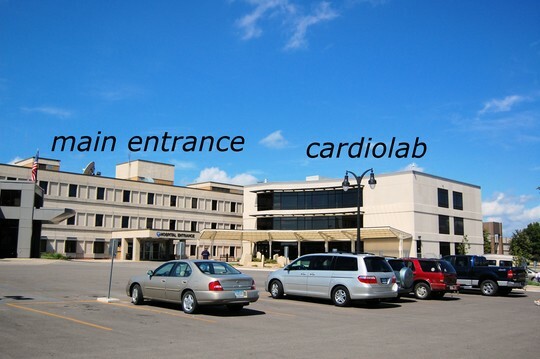 MMSC from the SouthEast showing the main hospital entrance and the new cardio Laboratory. 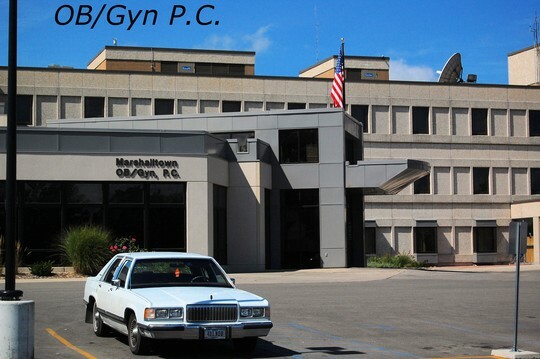 MMSC from the SouthEast, looking west showing the new OB/Gyn addition, located immediately south of the Main Entrance. 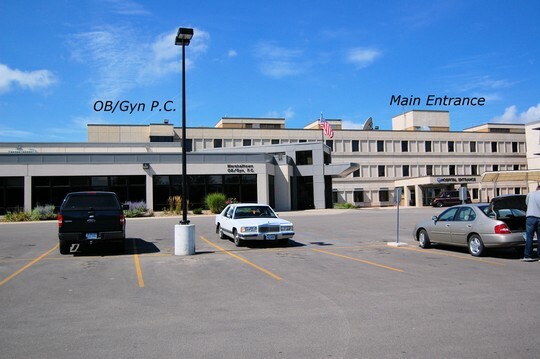 Wider view of the OB/Gyn addition and its relation to the Main Entrance to the hospital. The new Iowa River Wildlife Mangement Area was opened September 6, 2008. 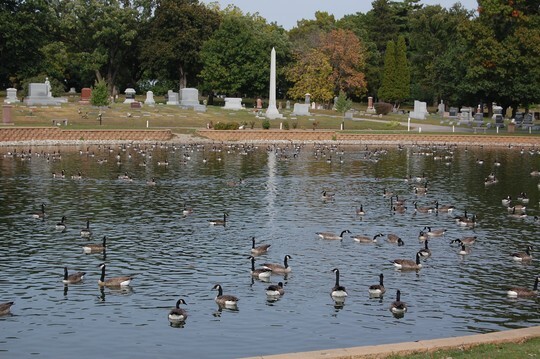 The IRWA includes 485 acres of diverse wildlife habitat including prairie, forest and riverfront areas 1.5 miles north of Marshalltown. 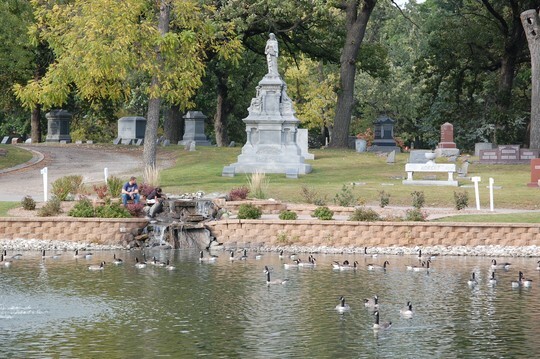 "This is one of the biggest and best conservation areas in Marshall County," said Mike Stegmann, Marshall County Conservation Board director. 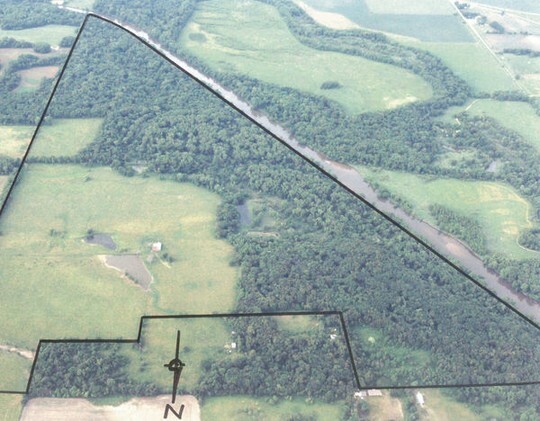 "The IRWA will protect more than a mile of Iowa River shoreline, along with mature woodland, springs, wetlands and prairie. 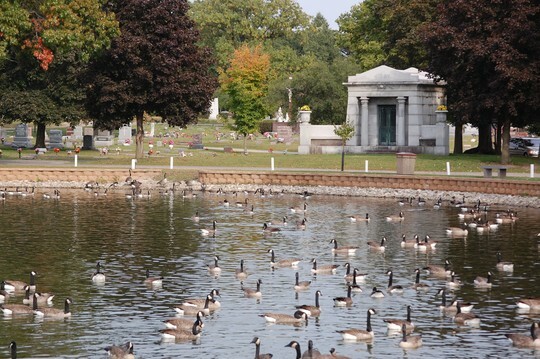 It includes an adjoining site where we are restoring additional wetlands and prairie." 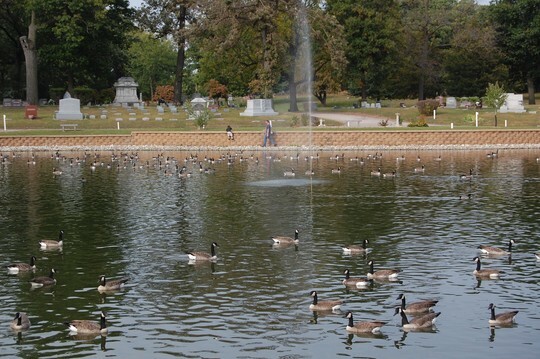 The area is envisioned to be used by hikers, bird watchers and hunters. 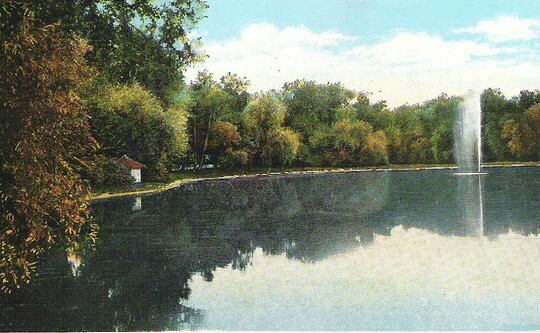 Fishing along the banks of the Iowa River is also available on site. The Orpheum Theatre was the first post WWII theatre constructed by industry giant RKO Theatres. It opened June 22, 1949. 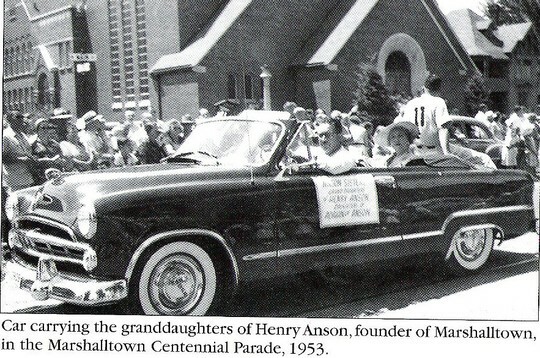 Marshalltown is the birthplace of film stars Jean Seberg and Mary Beth Hurt. 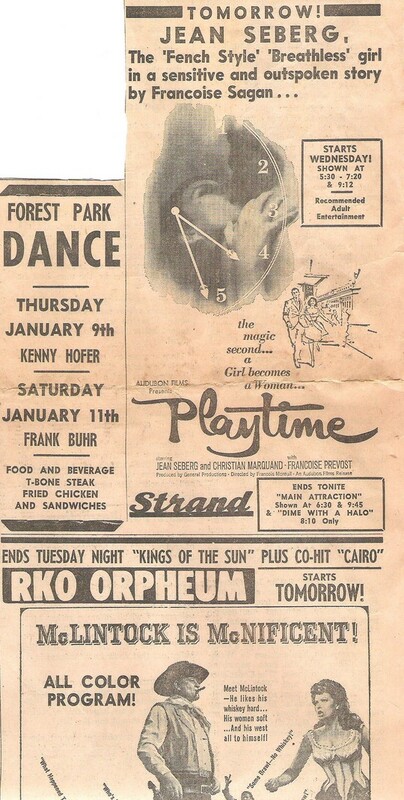 And because of this connection, in 1957, the theater was host to the US premiere of Jean Seberg's Saint Joan. 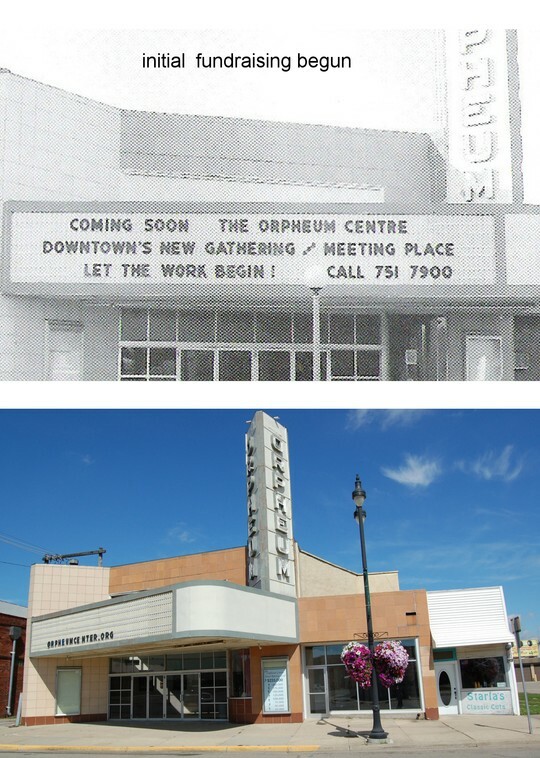 The Orpheum Centre Inc. (TOC) is a proposed plan for a multi-purpose community facility to be housed within the present Orpheum Theatre. The project will include two movie/auditorium spaces, a 'retro' coffee shop and a museum honoring Iowa films and personalities. 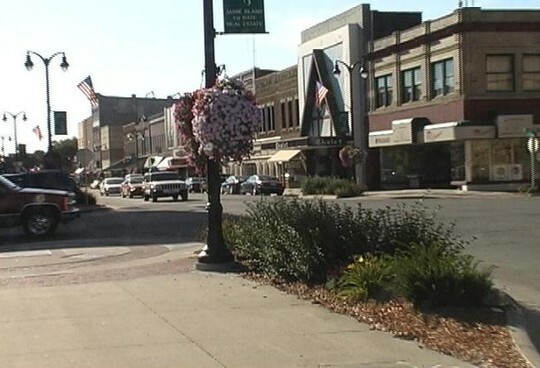 Marshalltown Community College (MCC) is partnering with the Orpheum Board to renovate the historic Theater. A portion of the project will satisfy the Orpheum Board’s desire to restore a movie theater/concessions area and to create a historic exhibit/display area. 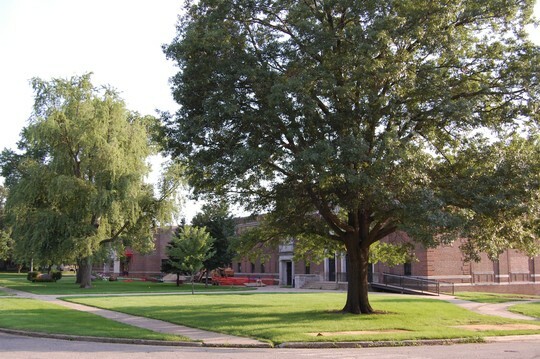 MCC will renovate the remainder for theater and classroom use. Highlights will be a theater with seating for up to 200 to be used for the college’s growing fine arts program. The renovation will also include a green room and broadcasting booth, three classrooms, an area for set design/construction, a serving kitchen, and handicap accessible bathrooms.